Beijing opted against wading directly into the social media storm over alleged insults by a co-founder of Italian fashion house Dolce & Gabbana, calling instead for the outside world to understand the Chinese public’s view on the issue. “This incident is not a diplomatic issue essentially and the Chinese side does not wish to escalate it into one,” foreign ministry spokesman Geng Shuang said on Thursday. Geng’s statement came as Chinese celebrities, online retail platforms and consumers turned their back on the brand after co-founder Stefano Gabbana allegedly described China as “a country of s***”. The social media storm that followed even prompted the Changan Sword, the WeChat account of the Central Politics and Law Commission of the Communist Party’s Central Committee, to bring its weight to bear. On Thursday, it said alleged remarks by Stefano Gabbana on Instagram “provoked Chinese citizens”. It also criticised a Dolce & Gabbana social media advert released on Sunday that patronised Chinese people for eating with chopsticks. But the commission took a softer line later on Thursday by carrying a commentary on its WeChat account by Hu Xijin, editor-in-chief of the party-owned Global Times. Hu said the boycott was “a waste of patriotic sentiment”. Hu said Gabbana might be “reckless and lacking manners”, but he questioned whether the Chinese people should be too sensitive about it. “Patriotism is the most valuable social resource. 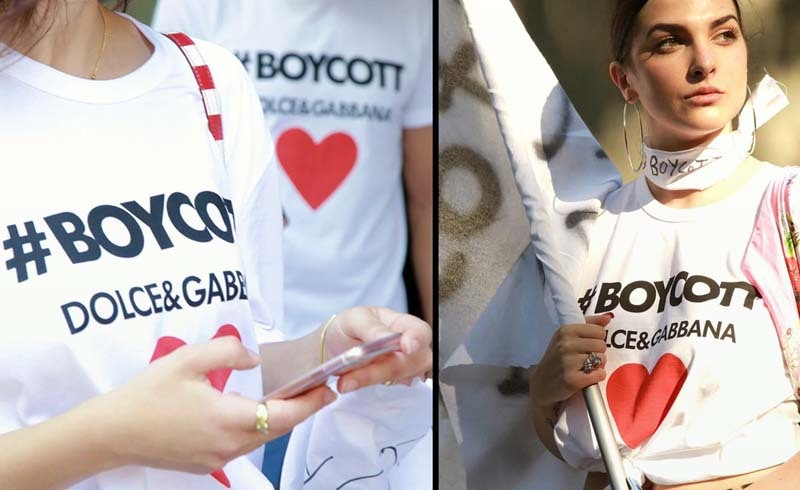 I don’t think boycotting a fashion show by Dolce and Gabbana deserves that resource,” he said. 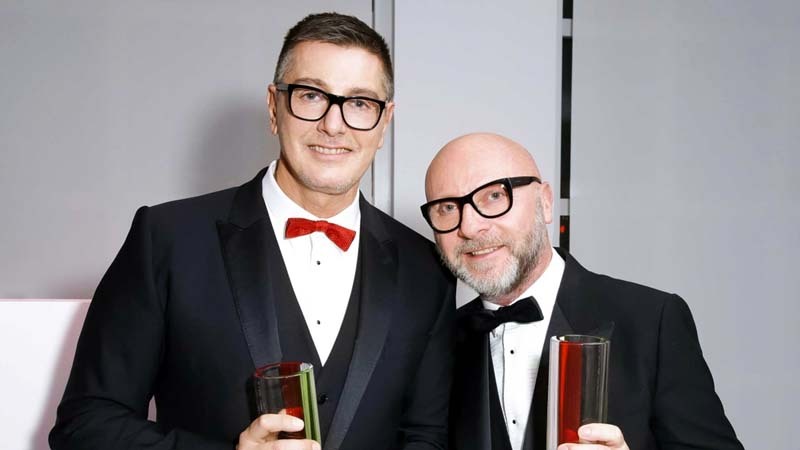 Earlier, two ambassadors quit Dolce & Gabbana over the fashion designer’s remarks and the brand cancelled a big fashion event in Shanghai on Wednesday. Singer Karry Wang Junkai, who was ambassador for the Asia-Pacific area, announced on Tuesday that he would stop working for Dolce & Gabbana. “Relationships must be based on an exchange between equals and mutual respect, the respect for the history and culture of the other side. The motherland must not be violated and she is above everything else,” the singer said. Actress Dilireba, the brand’s image ambassador for the Asia-Pacific since February, also quit. “Dilireba, as the citizen of People’s Republic of China, is deeply indignant about remarks of the designer of Dolce & Gabbana that insulted China. All the relationships with the brand will be terminated,” a statement said. 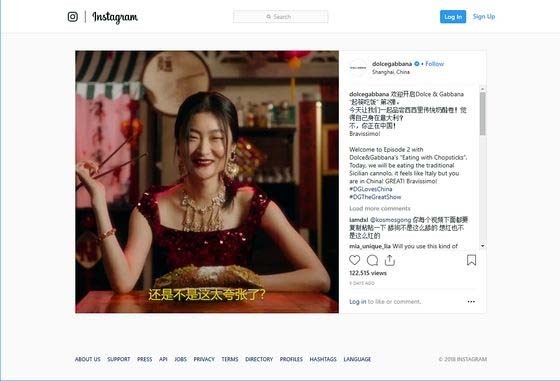 The fashion house’s online campaign to promote the Shanghai show, DG Loves China, involved a Chinese woman in a red D&G dress trying to use chopsticks to eat Italian food. It was described by critics as stereotypical and racist. Dolce & Gabbana said the account was hacked and it loved China and its culture. It issued another statement on Tuesday night, calling the incident “very unfortunate”. “Our dream was to bring to Shanghai a tribute event dedicated to China which tells our history and vision … What happened today was very unfortunate not only for us, but also for all the people who worked day and night to bring this event to life,” it said. The statement did not mollify angry internet users, who called for a boycott of the brand. “This strangely toned statement didn’t admit any wrongdoing. It subtly accused us of making a big deal and resulting in all the efforts for preparing the show going down the drain,” one internet user said. “It’s very unfortunate Dolce & Gabbana still failed to see its mistake. Let’s not forget ... and buy their clothes a few months later,” another said. “You told me how to use chopsticks. I am telling you to get out of China,” said a third. Major online shopping platforms on the mainland joined the boycott by taking the brand off their shelves. A search of D&G in Taobao.com and Tmall.com, China’s largest online retailer, failed to come up with any results for the brand. Some Taobao shop owners said they were patriots and would not sell any articles from D&G. Taobao and Tmall are owned by Alibaba Group, which also owns the South China Morning Post. A search for the brand in English and Chinese in JD.com, VIP.com, Kaola.com came up with unrelated products.